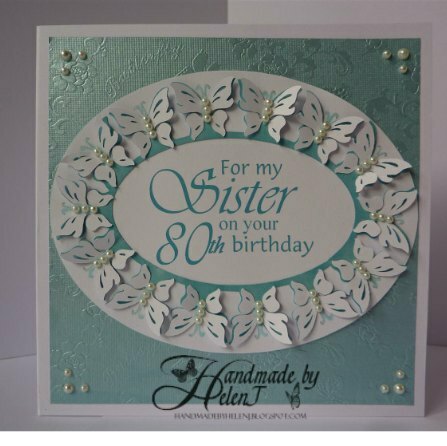 Created on my Craft Robo Lite using a beautiful template made by Anne (Fuschia from UKScrappers). Don’t look too closely at the antennae as they refused to cut properly on my Robo so I drew them in by hand & I’m useless at drawing! I coloured the mat with Promarkers, scanned it then imported the photo into Craft Artist Professional so I could colour match the word art. 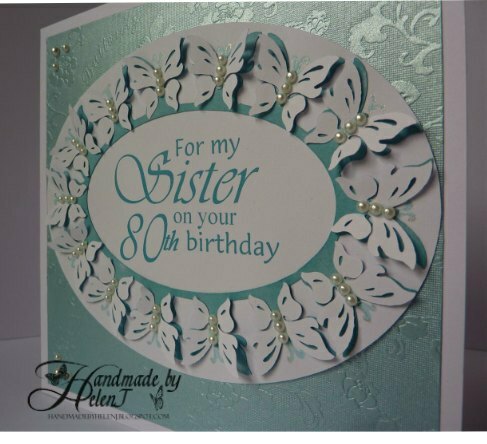 Oh, and it’s from my Mum to her sister – I’m not THAT old!! 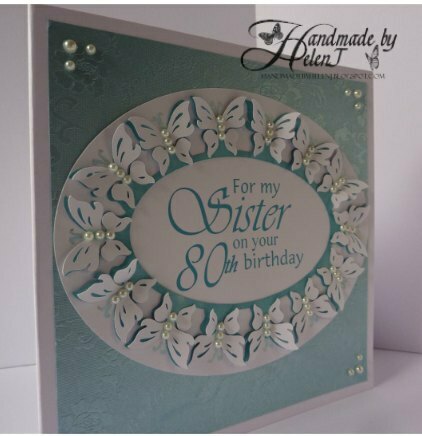 Backing paper from stash, Duck Egg Promarker, flat back pearls to finish. 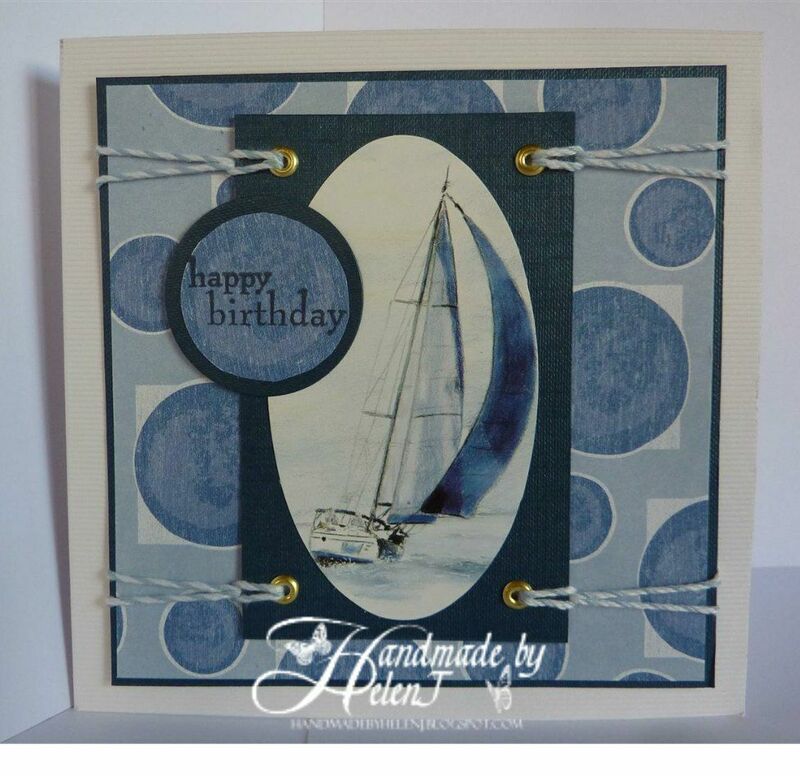 A card for a friend who enjoys sailing in his spare time. The image was pre-cut, I attached it to a piece of cardstock, put in eyelets with my Crop-a-Dile and used Creative Expressions baker’s twine. The backing paper was from my stash. 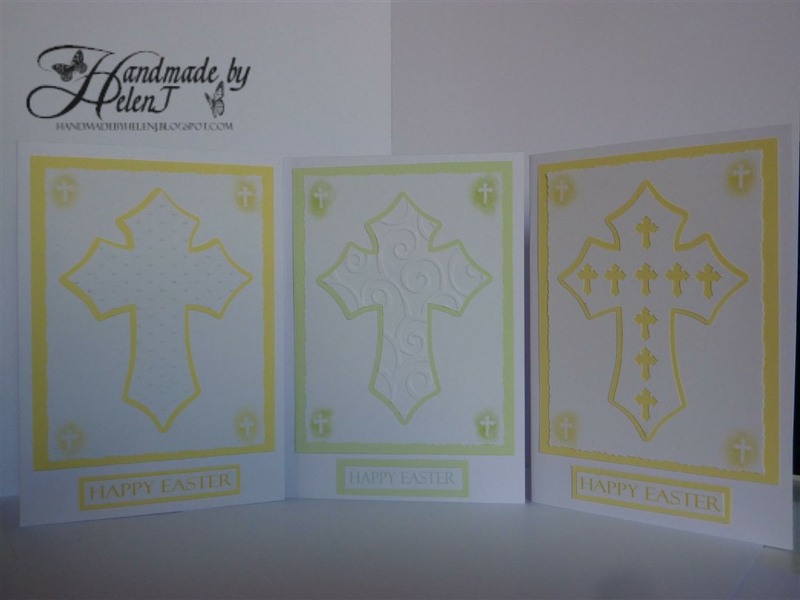 Last year I started my Easter cards on Good Friday so I decided that this year I wouldn’t be quite so last minute;-) The crosses were designed in Silhouette Studio (my own design, for once) and cut on my Craft Robo Lite, which I don’t use as often as I would like. My lack of a dedicated crafting space means it stays in its box for most of the time. 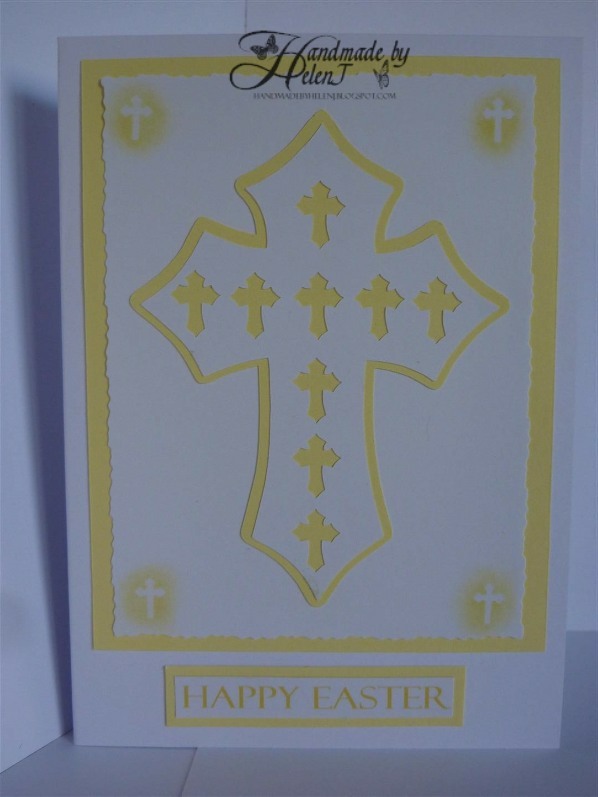 The simpler crosses were embossed in my Cuttlebug, and I decided on a simple finish (well, okay, I ran out of ideas!) The greetings were produced in Craft Artist Professional & the tiny crosses in the corners were created by chalking around peel offs which I then removed.